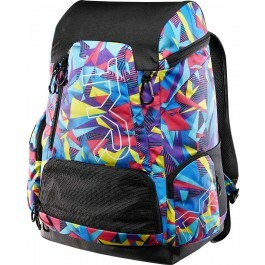 Always be ready with the TYR Alliance 45L Backpack-Geo Print. A new twist on an old classic, the LATBPGEO bag is packed with state-of-the-art features engineered for athletes on the go. 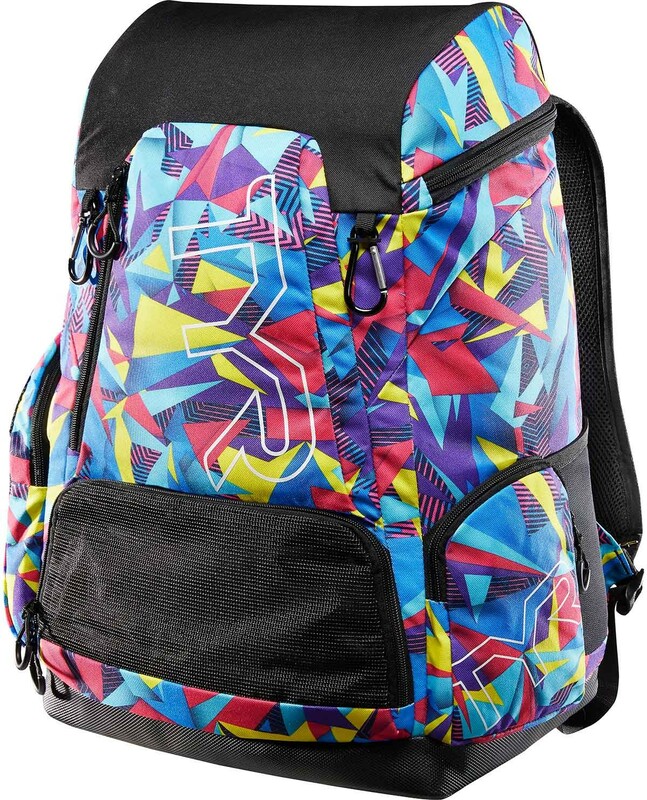 With a cutting-edge, space saving design, the 45L maximizes storage without the bulk. In addition to contour shaped padding for ideal ergonomics and lumbar comfort, the new design also includes multiple front and side pockets, expandable mesh pockets for separating wet and dry items, spring hooks for wet suits, a mesh water bottle pocket, adjustable straps and a protective storage space for large electronics. 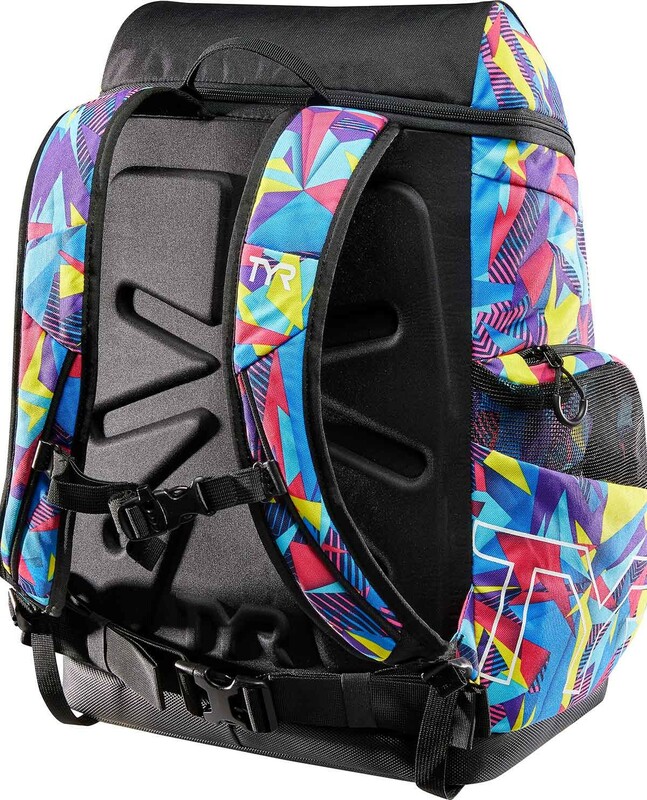 The TYR Alliance 45L Backpack-Geo Print is designed with fabric technology to ensure a lightweight feel and durable, water resistant construction. 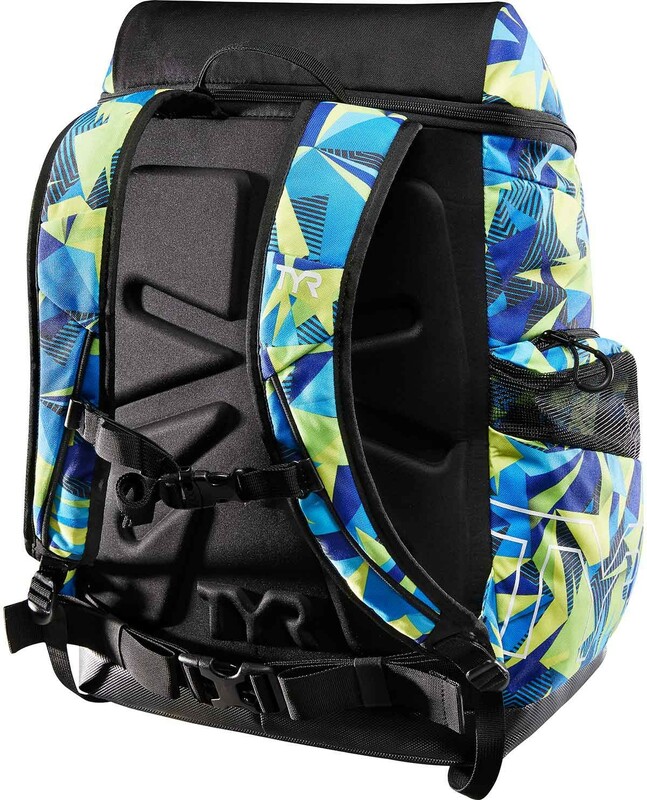 A new twist on an old classic, the TYR Alliance 45L Backpack-Geo Print is packed with state-of-the-art features engineered for athletes on the go. 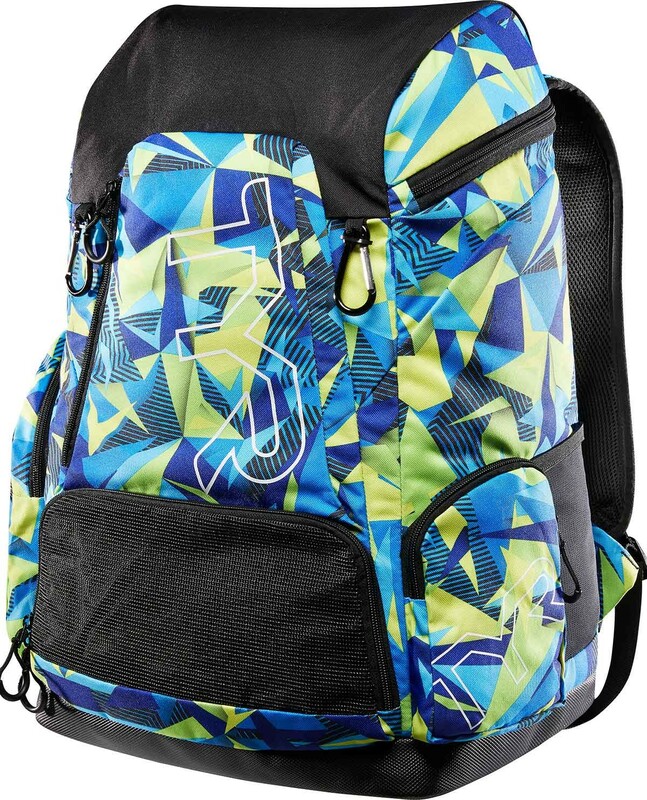 With a cutting-edge space saving design, the 45L maximizes storage without the bulk.